Both Jews and Muslims, and people belonging to such groups as the Jehovah’s Witnesses hold a strong belief in the singularity of God’s nature – that He is ONE God; they view the Christian doctrine of Trinity as a pagan form of polytheism (a multiple number of Gods). To answer this question, we turn to the following source Got Questions? : Do Christians Believe In Three Gods? ~*“Jesus claimed to be God, both directly and by necessary implication from what He said and did. He claimed to be Yahweh (YHWH; seen in Scripture as “Jehovah” or “LORD”. Yahweh is a special name God gives Himself in His Self-revelatory accounts in the Old Testament. Other names/titles of God are Adonai and Eloheim, but these can also apply to people (Gen. 18:12) or people, angels or false gods (Deut. 6:14). I am the LORD [Yahweh]: that is my name: and my glory will I not give to another, neither my praise to graven images. Jesus claims to be Yahweh. Yahweh in the Old Testament stated that He would not give His glory to another, and yet in John’s Gospel, Jesus is saying He had the glory of God with the Father since before the world was. How could these be reconciled if not conceding that Jesus is indeed God? “God in the Old Testament stated that He is ‘the first and the last’ (Isaiah 42:8) and this is the very same statement made by the LORD Jesus in Rev. 1:17. “Jesus professed to be “the good shepherd” in John 10: 11, and yet King David, inspired of the Holy Spirit wrote “the LORD is my shepherd” in Psalm 23:1. “Further, Jesus claimed to be judge of all people (Matt. 25: 31; John 5:27), [while the prophet] Joel quotes JEHOVAH as saying “for there I will sit to judge all the nations on every side” (Joel 3:12). Some might see vs. 26 as Jesus’ admission that the life-giving power He has was only given to Him, that He didn’t possess this ability in Himself. John 14: 6 refutes the notion that this power wasn’t inherent in Jesus, and in this passage, the word “given” can mean to “yield” or to “grant”. To do so is not at all necessarily the action of giving what is required for the receiver to perform, but rather a concession to allow another to exercise their power. A security guard at the job site hears a noise in the dark, supposedly empty warehouse, and so he releases his guard dog that then races into the darkness and the stacks of boxes and palates to apprehend the intruder. It wasn’t that the security guard ‘gave’ power to the dog, but rather ‘gave it leave’ to perform in its abilities. In verse 30 the same skeptics would point out that Jesus can’t do anything on His own, but only according to what He hears, but they disregard the rest of the verse which goes on to indicate that He always seeks His Father’s will as the Servant of the LORD, as He always did those things that pleased the Father (John 8:29). The other facet of this is that as Jesus is equal (identical) with the Father, it would be impossible for them to be at variance to one another, or contradict one another. Truth cannot be self-contradictory; thus, neither can the Godhead be! Jesus forgave sins in Mark 2: 5-11. “The scribes correctly responded that no one can forgive sins, but God. So, to prove that His claim was not an empty boast, He healed the man, offering direct proof that what He had said about forgiving sins was true also. God revealed Himself to and gave the Ten Commandments to Moses, but Jesus gave commandments of His own (including in the Scripture reference made above from Mattthew). “Jesus claimed to be God by requesting prayer in His Name: Jesus not only asked people to believe In Him and obey His commandments, by the asked them to pray in His name. ‘And I will do whatever you ask in my name . . . You may ask me for anything in my name, and I will do it’ (John 14: 13-14). ‘If you remain in me and my words remain in you, ask whatever you wish, and it will be given you’ (John 15:7). Jesus even insisted, ‘No one comes to the Father except through Me’ (John 14:6). In response to this, the disciples not only prayed in Jesus name (1 Cor. 5:4) but prayed to Christ (Acts 7:59). Jesus certainly intended that His name be invoked both before God and as God in prayer. “Of course the man did not realize the implications of either his statements or what the law was really saying, so Jesus was forcing him into a very uncomfortable dilemma. Either Jesus was good and God, or he was evil and human, for each human is evil and does not deserve eternal life. How can the Father be greater if Jesus is equal to God? The answer is that, as a man, Jesus subordinated Himself to the Father and accepted limitations inherent with humanity. So, as man the Father was greater. Further, in the economy of salvation, the Father holds a higher office than does the Son [The Father as the Judge, Who judged the entirety of sin as it was laid upon His Son; the Son as the Lamb, the Sacrifice, atonement and propitiation for sin]. Jesus proceeded from the Father as a prophet who brought God’s words and a high priest who interceded for his people. In nature of being - as God - Jesus and the Father are equals (John 1:1; 8:58; 10:30). An earthly father is equally human with his son, but holds a higher office. So the Father and Son in the Trinity are equal in essence but different in function. In like manner, we speak of the president of a nation as being greater in dignity of office, but not in character. “In agreement with their Master, Jesus’ Apostles called him ‘the first and the last’ (Rev. 1:17; 2:8; 22:13; ref. Is. 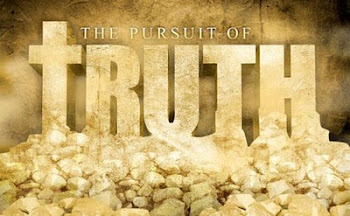 44:6), ‘the true light’ (John 1:9), their ‘rock’ or ‘stone’ (1 Cor. 10:4; 1 Peter 2:6-8; ref. Ps. 18:2; 95:1), ‘the bridegroom’ (husband) Eph. 5:28-33; Rev. 21:2; ref. Jer. 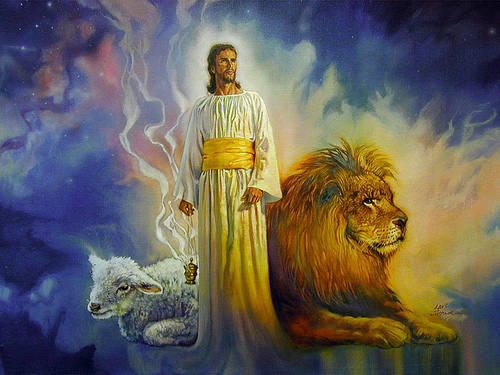 31:32), ‘the chief shepherd’ and ‘the great shepherd’ (1 Peter 5:4; Heb. 13:20; ref. Psalm 23:1). The Old Testament role of ‘Redeemer’ (Ps. 130:7; Hos. 13:14) is given to Jesus in the New Testament (Titus 2:13; Rev. 5:9). He is seen as the forgiver of sins (Acts 5:31; Col. 3:13; ref. Ps. 130:4; Jer. 31:34) and ‘savior of the world’ (John 4:42; ref. Isaiah 43:3). The apostles also taught of Him, ‘Christ Jesus who will judge the living and the dead’ (2 Tim. 4:1; ref. Ps. 96:13). All of these titles are unique to Jehovah in the Old Testament but are given to Jesus in the New. The New Testament opens with the passage concluding that Jesus is Immanuel (‘God with us’; Is. 7:14).” The term Messiah, and its Greek equivalent, ‘Christ’ convey the meaning of “the anointed one” – Zech. 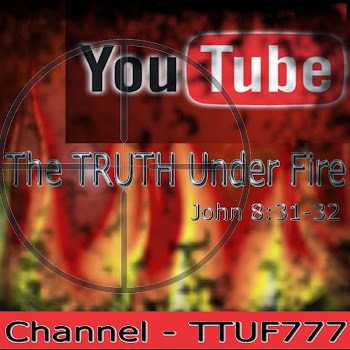 12:10 is considered a messianic passage, referring to the LORD God, but yet describing Him as someone who is “pierced” or “pierced through as with a sword or spear” and we know that Jesus of Nazareth at His crucifixion, in order to ascertain and verify His death, was pierced through with a spear (John 19: 37; 20:27). All power and authority that are the very attributes and abilities of God as revealed in the Old Testament are likewise observed in Jesus who Himself, raises the dead (John 5:21; 11:38-44); forgives sins (Acts 5:31; 13:38); the primary agent in creating (John 1:2; Col. 1:16) and sustaining the universe (Col. 1:17). The use of Jesus’ name in prayer as the agent for answering and the recipient of prayer (Acts 7:59; 1 Cor. 5:4). Often in prayers or benedictions, the name of Jesus is used in conjunction with God’s own; ex. “grace and peace be to you from God our Father and the Lord Jesus Christ (Gal. 1: 3; Eph 1:2). The name of Jesus was to be used along with the other members of the Trinity in regards to baptism (Matt. 28:19); interesting to note that in this passage, the Father, the Son and the Holy Spirit are all mentioned, but disciples were to baptize in their “name” (singular not plural). This association is also mentioned in the benediction of 2 Cor. 13:14. In this same epistle, Paul writes concerning God, who is the Savior, and then in the next verse, declares Jesus Christ to also be the Savior; are these two distinct ‘Saviors’ that save us from different consequences? Or is there only One Savior, represented among these two conjointly as Father and Son? Here God states that there shall not be any God formed before or after Him; that He is the one and only; likewise He is the only the savior of the world. Jesus was not a created being used by God as an instrument for salvation as the Jehovah’s Witnesses and other cults profess but eternally begotten of the Father, and declares Himself both here in this passage in Isaiah, and throughout the canon of Scripture as both God and Savior. This further demonstrates the united Trinity of three Persons in a singular Godhead. Note the phrase “express image” which could be interpreted as “exact representation”. Skeptics would point out that Jesus is only a representation of God, and not God Himself, and use such analogies as photographs or statues that represent their real live counterparts. The fundamental problem with this analogy is that while the photo or statue have a likeness to the person – the representation in these cases is only superficial; they are not exact representations because neither photo or statue or video stream for that matter, are not living, possessing a mind and will of their own, etc, etc. Jesus Christ is not only the exact and living representation of God, but He is so in every way, as elaborated upon throughout this article. We will conclude this with the final part (Five) in this series. Until then, God bless you all in the Name of the Father, the Son and the Holy Spirit!